Highest Quality, gives your Playstation 4 a really cool look with this decal!!! Easy to use and stick,easy to remove.No special skill required. 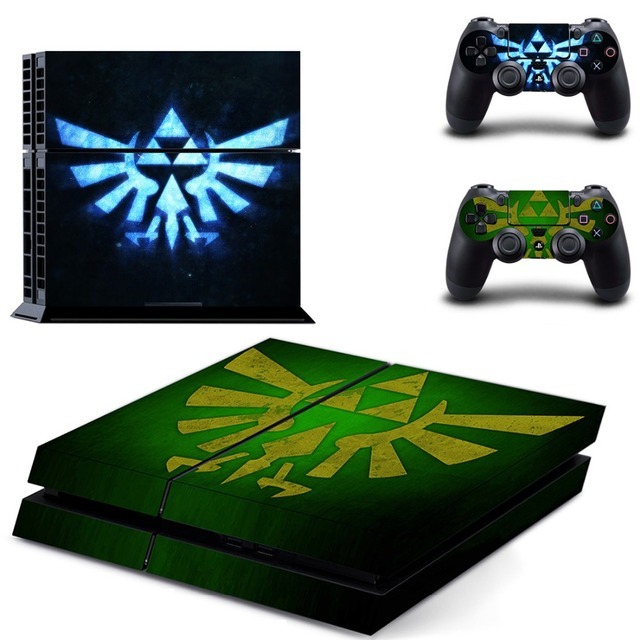 This skin is made of high quality vinyl stickers, specifically designed for your Playstation 4 and the controllers. 1. Clear your device with soft cloth and ensure there are no dust and oil on the work surface. 2. Peel the vinyl away from the backing paper and trim approx 2cm from the backing paper. Stick the vinyl back onto the backing paper. This should leave some of the vinyl exposed. 3. Stick the exposed 2cm of vinyl to the edge of the PS4 then remove the remaining backing paper and smooth over. 4. Once the skin is applied, use a squeegee or flat item like a credit card to press the skin onto the surface. Start in the middle of the shortest edge and run all the way down the center to the opposite edge. Continue pushing the skin onto the console in straight lines running parallel to the longest side of the console. Work from the center out to avoid bubbles. 5. Optional: For the best result, apply hot air to the decal surface to activate glue agent for better stickiness. Hot air from hair dryer is fine. Please Note: Console and Controller are not included!